Emergency department physical therapy (ED PT) offers multiple benefits and is poised to spread across the country, researchers said. "Patients receiving ED PT benefit from the physical therapist's expertise in musculoskeletal and vestibular conditions and from the individualized attention provided in a typical bedside evaluation and treatment session, which includes education on expected symptom trajectory, recommendations for activity modulation, and facilitated outpatient follow-up." While common in Australia and the United Kingdom, ED PT has established a modest foothold in the United States, with programs at 23 health systems as of 2014. Most ED physical therapists are drawn from a health system or hospital physical therapy department because using existing organizational infrastructure is often the most efficient option, the researchers wrote. ED care providers such as resident and attending physicians, nurse practitioners, physician assistants, and registered nurses should be consulted to gauge their support for an ED PT service. The article highlights physical therapy visit data at several EDs. 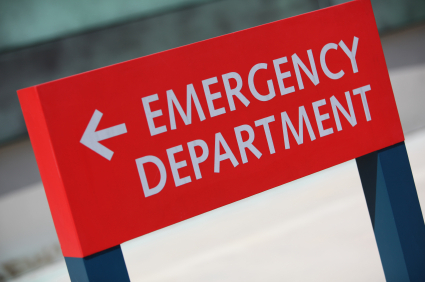 On the low end of the scale, with one full-time physical therapist in the ED, one hospital posted 565 annual PT ED visits in 2009 with an annual ED-visit census of 62,000. On the high end of the scale, with two full-time physical therapists, another hospital posted 2,000 annual PT ED visits in 2014 with an annual ED-visit census of 102,000. Strong communication skills are essential for ED physical therapists: “An ideal ED physical therapist will have good patient communication skills, given the volume of information that patients are likely to receive in a short period of time from the ED care team." Mirroring a crucial ER physician skill, ED physical therapists must be flexible and improvisational. “ED physical therapists must also function as a 'jack-of-all-trades' and should therefore have a wide range of clinical skills that can be adapted to address the variety of patient problems encountered in the acute care setting." ED PT programs are generating positive results, the authors concluded: “Initial reports from U.S. hospital systems that have established ED PT services have cited increased provider and patient satisfaction, decreased wait times, and decreased rates of admission to the hospital for patients with orthopedic conditions."